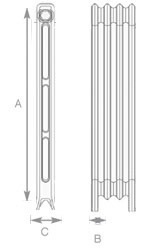 The 760mm 2 Column Cast Iron Radiator is one of our European made Cast Iron Radiators. This cast iron radiator is also available in two other heights. 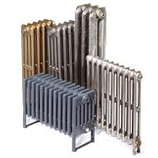 This traditional solid fine range of early twentieth century 2 column cast iron radiators are Cast in Europe and assembled at our factory in North Yorkshire. 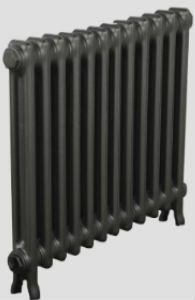 With a practical appearance and a high BTU output, this cast iron radiator is a distinctively early twentieth century design. Delivery time is usually 14 - 20 days, please contact us if you have any urgent or special requirements. Delivery is made using a pallet service, the average delivery time is 7-10 working days subject to your choice of finish. To confirm our present delivery time please read our Delivery Times page or click here.